Source: Greenwich News and Graphic. Friday, June 6, 1919. Page 1. 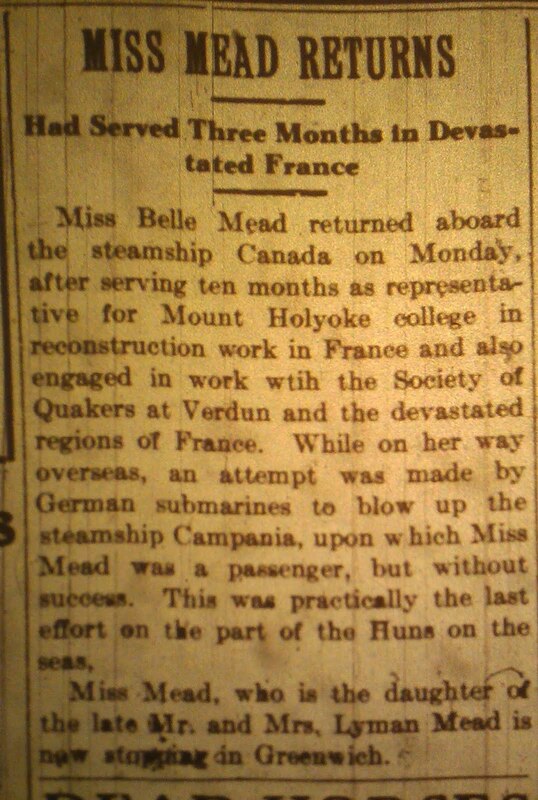 Miss Belle Mead returned aboard the steamship Canada on Monday, after serving ten months as representative for Mount Holyoke college in reconstruction work in France and also engaged in work with the Society of Quakers at Verdun and the devastated regions of France. 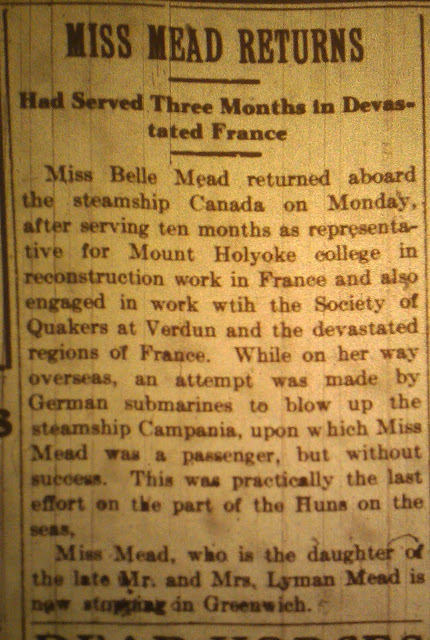 While on her way overseas, an attempt was made by German submarines to blow up the steamship Campania, upon which Miss Mead was a passenger, but without success. The was practically the last effort on the part of the Huns on the seas. Miss Mead, who is the daughter of the late Mr. and Mrs. Lyman Mead is now stopping in Greenwich.